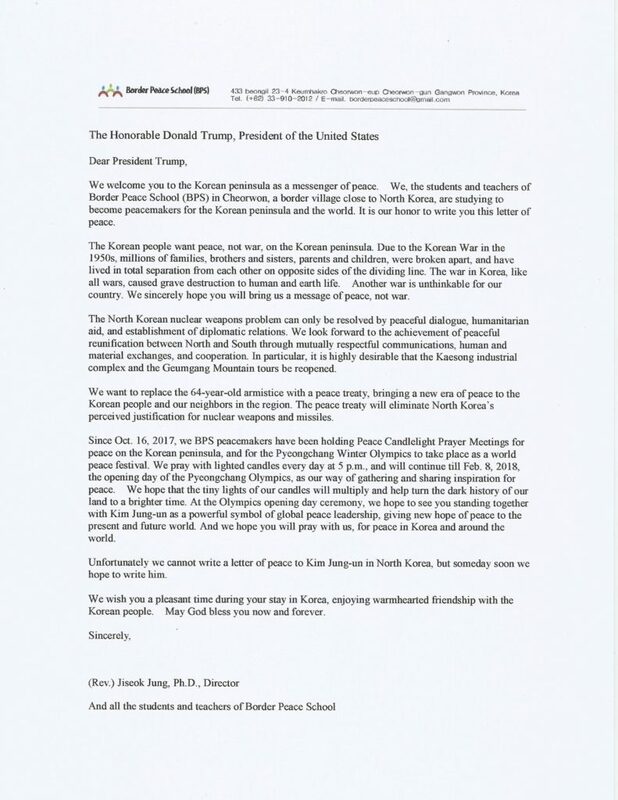 Below is a letter sent on November 4th to USA President Donald Trump by the Border Peace School in Cheorwon, on the southern side of the inner border of Korea, to mark the President’s visit to the Republic of Korea. The letter is scanned and posted in full below as an open-ended appeal from the school to everyone, calling for peaceful dialogue, humanitarian aid and the establishment of diplomatic relations as the only way to solve the North Korean nuclear weapons problem. Please contact the Border Peace School directly (at: borderpeaceschool at gmail.com) for further information and /or to join their candlelight vigils. Note: Birds Korea is a small non-political South Korean conservation organisation, working for conservation of birds and their habitats in Korea and the wider Yellow Sea Eco-region. We have long argued that peace and security are essential if conservation of species and sustainable development are to be achieved in this region. We would therefore have posted this letter earlier but were in the DPRK (North Korea) – where there is no access to internet – conducting bird and wetland surveys as part of our own small contribution to scientific knowledge, conservation and green diplomacy currently being undertaken by several international conservation organisations. 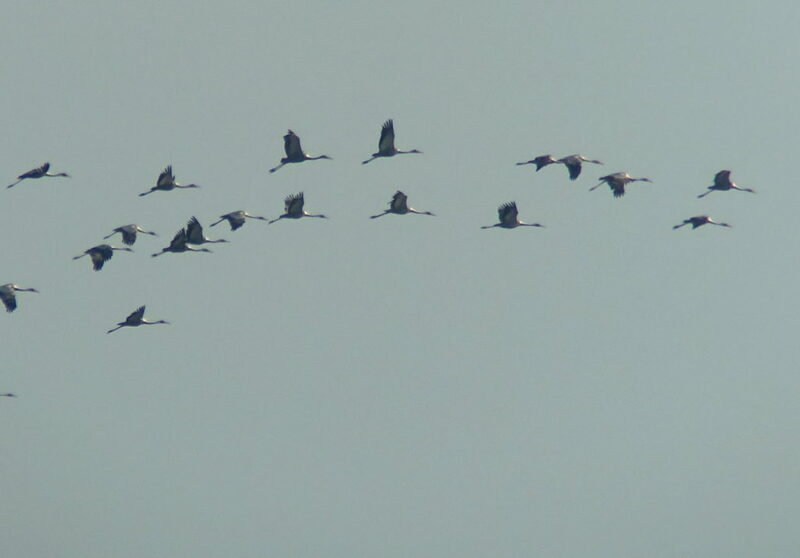 Already, these surveys have helped to clarify further the ecological unity of the Korean Peninsula – with cranes seen along the east coast of the DPRK last week likely to winter in Cheorwon; and Pelagic Cormorants shown to migrate across the DMZ each day within the divided Goseong County. In truth, not only the Korean Peninsula but the whole World is one. We urgently need to learn to respect each other – other peoples and other species – and to break down many of the walls in our own minds. At heart, there is no “them” and “us”: just “us”.